Get More Bass With a High-Pass Filter? This one might spark a little controversy. But for the few brave souls who will actually TRY it, I think you’ll be quite surprised. We all know that one of the hardest parts of a mix is getting the low end to sound right, particularly the kick drum and bass. It seems like you’re always walking the fine line between too much bass and not enough bass. It’s been said that the low end of your mix is “what separates the men from the boys.” But it can be really hard to get right, right? Every mix poses its own unique challenges, and I never mix two songs the same way. 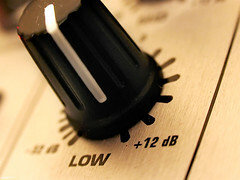 However, here are 6 tips for getting a handle on the low end in your mix. Some of these may seem odd or strange. Give ’em a shot. They seem to work for me. Today I asked my Facebook fans what they wanted me to write about. Luca asked about how to get a big bass sound in the mix, using parallel compression, etc. Great question, Luca. If you were to keep track of how much time you spend dealing with the low end in a mix, particularly bass and kick drum, verses everything else, I bet you’d be surprised. 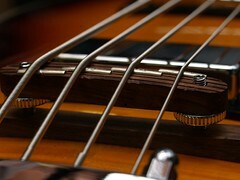 A huge, punchy, tight bass sound can make or break a mix. Once you’ve got the low frequencies playing nicely together, the rest becomes much easier to put in its place.